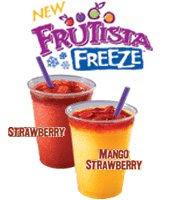 If you print and take along this coupon, you can get a FREE Fruitista Freeze from Taco Bell. This one is good until the end of the year. You can print it out a couple of times to sample more than one yummy flavor!